Speaking of which, if you can find a copy of Julian Bream’s 40-CD box set, The Complete RCA Album Collection, buy it. I paid just $90 CAD for it, brand new. Redbook CD may or may not be in its death throes but one thing is certain: there has never been a better time to acquire inexpensive box sets. I can close my eyes, reach into the box and be guaranteed of picking one of the 20th century’s best recordings featuring guitar. I started with disc #27 containing my favorite recording of the Concierto de Aranjuez. Bream recorded this piece several times. This disc contains the 1971 recording with The Monteverdi Orchestra led by John Eliot Gardiner. Bream played guitar the way Rafael Nadal plays tennis - every note plucked, every ball struck betrays the burning intensity of the perfectionist. Bream played (and Nadal plays) as if his life depended on it. During the 1970s in particular, Bream played with a fiery gusto rarely seen before or since. His talent is worthy of a poetic metaphor borrowed from Yeats: ‘beauty like a tightened bow’. Bream’s genius did not consist of a gentle lyrical approach but was rather somewhat foreboding. One never knows when he will lower the hammer. Bream was no polite Pepe or gentle John. With strings as tight as his personality, the maestro was the Ivan Lendl of guitar playing. And sometimes the martinet no mincer of words as you can see on Youtube if you search for clips from his master classes. Next up was Bream’s powerful recording of Villa-Lobos’ Five Preludes. Some recent recordings of these gems try to find a gentleness and lyricism that Bream never saw. Bream plays the Preludes with aggression and passion, alternating between softly muttered phrasing and mercurial outbursts like Brando’s Stanley in "Tin Roof". Stella! 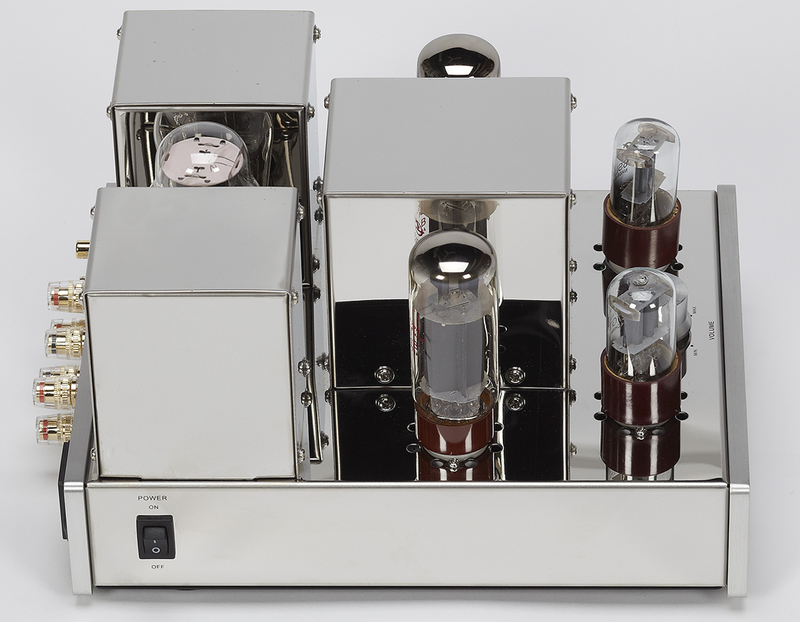 The Dynamo, like other great single-ended amps I’ve had, grabs hold of a note, puts it under the scope, turns it inside out and lays before you in one or two seconds more musical emotion than you can conjure from MP3 and lesser amplification over the course of a 72-minute listening session. The Dynamo can resolve the inner detail of a single note like some amplifiers costing five times as much. Moving towards the present day, one of my favorite guitarists is the stunning Antigoni Goni. Her virtuoso performance of John Duarte’s Suite Piemontese Op. 46 is nothing short of breathtaking; the best it has ever sounded in my system. The Dynamo can walk that fine line between detail retrieval and tone saturation. So, the Dynamo can handle the truth. Can it handle artifice, however sweet? My next test involved one of the most lyrical sweet hypnotic but distorted pieces of jazz guitar solo I am aware of: Russell Malone’s "Strange Little Smile/With You I’m Born Again" from his Sweet Georgia Peach CD. A great EL34 amp, like those designed around the 6V6 and 6L6 family, should pair perfectly with this music. These tubes were made for guitar. "Sweet Georgia Peach" features a roster of legends: Ron Carter, Kenny Barron and Lewis Nash. I want an amp that can cut to the heart of the swirling distorted chords between 2:50 and 3:05 and again at the 4:40-4:55 mark. Malone pushes four or five chords into some sublime space that can be reached by only the very best of guitarists like Rosenwinkel, Halvorson, Benson, Burrell and Malone himself. The tone is ripe and saturated. 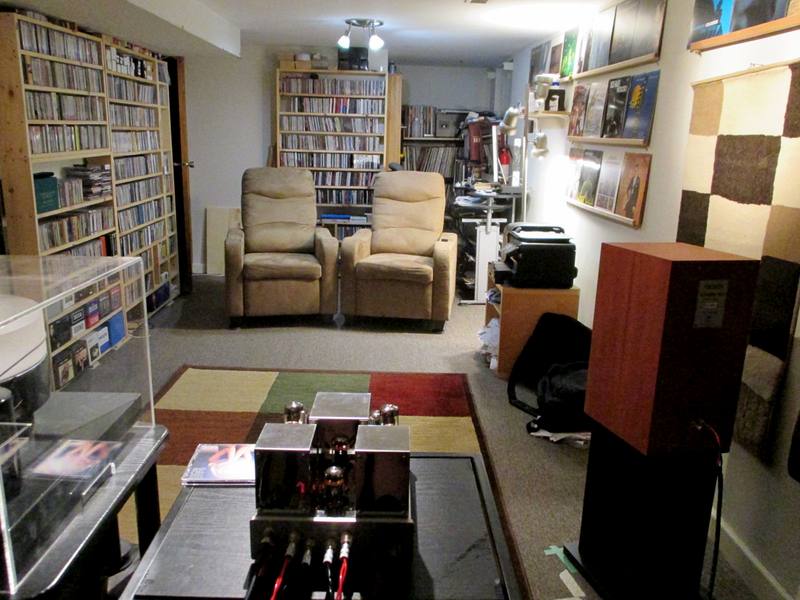 Like the yellow fog, it licks its way into the corners of my listening room. Only a great tube amp can produce bloom like that. If I listened to jazz guitar and nothing but jazz guitar, I would sell all other amps in my possession, pocket the cash and simply use the Dynamo. 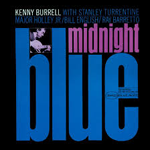 At the 0:14 to 0:18 mark, at 0:43 to 0:48 and elsewhere on the track "Soul Lament" from Kenny Burrell’s Midnight Blue, Burrell coaxes a soaking wet saturated distorted chord out of his guitar. Either you’re a fan of this artificially induced distorted sound or you’re not. For those of us who are moved by this type of playing, hearing it through the Dynamo will glue you to your seat. It is arresting in its beauty. I get leading edge micro detail—the first touch of pick and fingernail—followed by classic tube bloom topped off with extended decay. Who could ask for anything more? 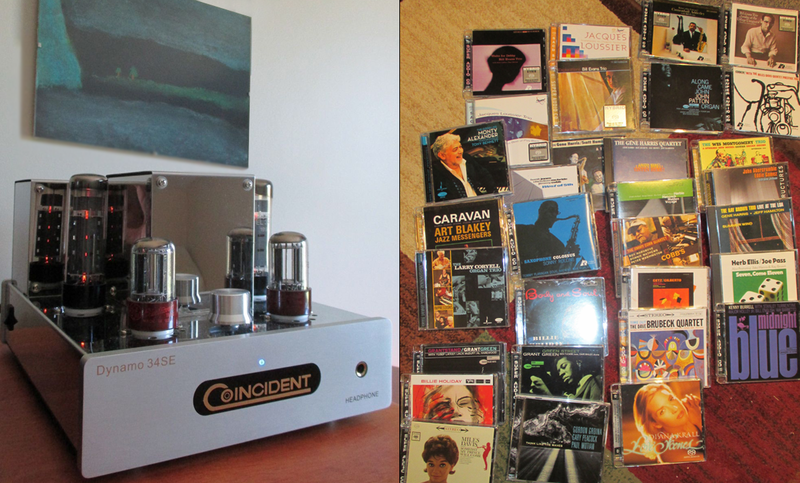 Next I listened to “My Funny Valentine” (Grant Green, Grantstand, Analogue Productions SACD). Until I had a very good amp and source, I was underwhelmed by the sparse laconic and sometimes sloppy guitar technique of Grant Green. Under the Dynamo’s keen microscope, I appreciate just how much colour and emotion Green elicits from his strings as they reverberate for what seems like an eternity and get back not quite to where they once belonged. Hysteresis through a golden arch top can be sublime. This amp loves SACDs and it also loves voices, even bad ones like that of the drug-addled Lenny Breau on the tune "Five O’ Clock Bells". Somehow the Dynamo finds a way to redeem, at least in part, Breau’s feeble attempt at singing and songwriting. Breau’s singing was worse than that of Jimi Hendrix and William Hung but the Dynamo finds a way to keep me interested. There is a touch of magic even in this dross. Moving on over to a masterful singer-songwriter, Gordon Lightfoot’s "Don Quixote" is so clear and present. The background strings are smooth and they seem to ebb and flow in a logical manner like the tide instead of appearing intermittent as a lesser amp tends to do to smear softly recorded passages. Lightfoot’s voice is front and center several feet in front of my Tekton M-Lore. The strings are in the back left and Rick Haynes’ bass is clearly on the right. The guitars are in the center. Lightfoot’s humming towards the end of the track "Christian Island" is as lifelike as I have ever heard. With vocals, one might be forgiven for asking if this is a 2A3 amp. Lightfoot was a revelation. Now I scanned my shelves for recordings by my favorite female singer-songwriters. 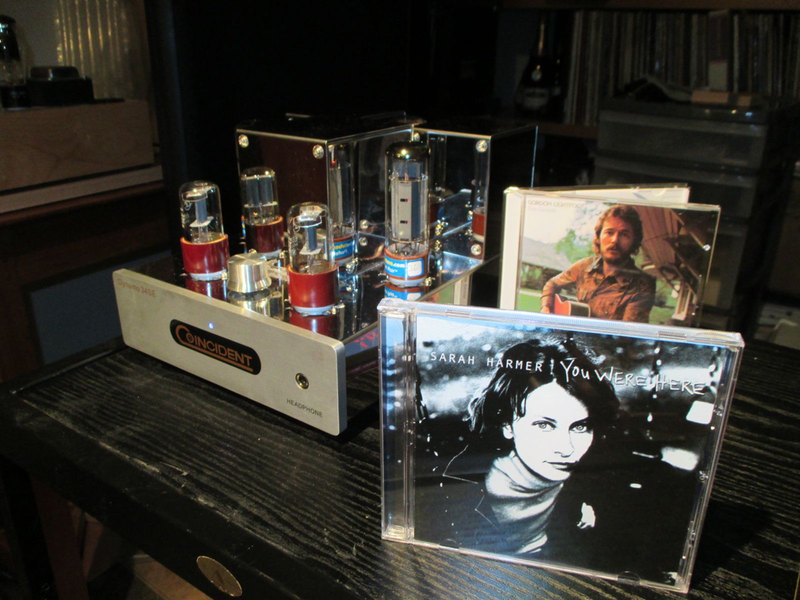 First I chose Sarah Harmer whose music I mentioned in my March 2014 report on the Bottlehead Crack amp. But I spent more time listening to Emily Millard of Iroquois, Ontario. 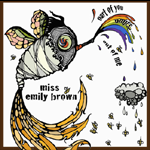 She goes by the stage name 'Miss Emily Brown'. Raised on the river, the St. Lawrence’s floodplains with their bounty of birdlife feature prominently in her music. Her first album Part of You Pours Out of Me is, as the title suggests, clearly rooted in a sense of time and place. Miss Emily Brown dons several caps as folk singer and guitarist, jazz chanteuse, master of the bluegrass autoharp and some say ‘Indie singer’ (whatever that means). She defies easy classification. Think of her as a female Leonard Cohen but with a voice as sultry as Peggy Lee and as sweet as honey, not grave as gravel. The comparison with Cohen may be apt. Like him she studied poetry at university. Her lyrics abound with imagery of the Great White North: meeting a moose along a trail; contemplating the sky through the gaping hole in a dilapidated abandoned barn; imagining life through the eyes of a bird in a nest, not on a wire. Her albums feature guitar, autoharp, cello, music box, glockenspiel, drums, bass and synthesizer. Youtube and you too might appreciate her magic. And that talent shines through the Dynamo. Every little inflection, every little vocal trick she does is magic. There is absolutely no sibilance or grain. I close my eyes and I am transported back to a concert she did at a rough-round-the-edges pub a couple of years ago where she held lovable losers and no-account boozers (and those who generally blow all their hard-earned pay on audio) in a trance. Once again, this little amp simply loves vocals. They keep trying to row away. The living dead fill every room. But the most special are the most lonely. God, I pity the violins. For forever, forever and a day. Okay, the Dynamo can present vocals with all the smoothness and grace of a 2A3 amp. And it positively nails the tone of guitar, be it acoustic and amplified. But how does it cope with rock and orchestral music?